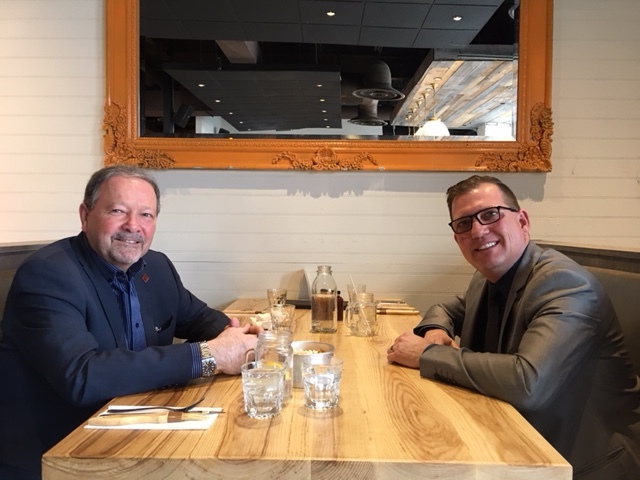 RAHB President Jack Loft enjoyed his seventh member lunch with Walter Galvao (iPro Realty Ltd.) in Burlington. Walter is a new REALTOR® who came from a successful career and is already volunteering with the Association. Walter would like to see sales-related training (like Lead Generation) put on by RAHB. Jack reports that Walter has some great ideas and is passionate about real estate, and even introduced Jack at his office! For your chance to have lunch with the RAHB President, e-mail your name to president@rahb.ca. Thank you for the lunch meeting and sharing what is happening with our board. I think this is a great way to connect and with our members. I appreciate the time you took out of your busy schedule to hear my suggestions.